The #MeToo movement is hitting home for one South Bay politician. 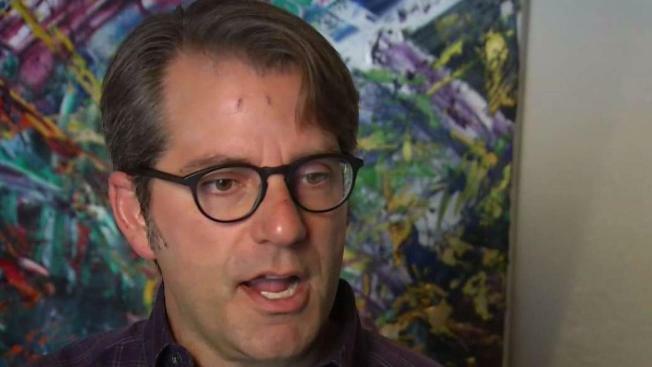 An ad posted to social media Thursday alleges former San Jose councilman and Santa Clara County supervisorial candidate Pierluigi Oliverio has a history of sexual harassment. The scathing ad affiliates Oliverio with the #HimToo hashtag, a take on the #MeToo movement that has brought awareness to sexual misconduct, and it shows a picture of Oliverio along with President Donald Trump and former Senatorial candidate Roy Moore. The ad highlights allegations of sexual harassment against Oliverio in 2015 by a former employee while Oliverio was on the San Jose City Council. The accuser later dropped Oliverio from a lawsuit and ended up settling with the city for $10,000, even though the city still claims the suit had no merit. Vicki Gemetti is with the Santa Clara County Government Lawyers Association, which published the ad. The group hasn’t endorsed anyone in the supervisorial race but said it couldn’t stand idly by while Oliverio campaigned. "I find that his actions are vile and repugnant, and his behavior reprehensible," she said. "Someone who has demonstrated utter lack of judgment on how to treat his own employees should not be responsible for leadership on thousands of female employees." Oliverio insisted he does not have a sexual harassment problem in the workplace. Whe he saw the ad, he reiterated that the 2015 allegations had no merit. "This is really a desperate attempt by the union bosses to try to control the Board of Supervisors by smearing," he said. Oliverio added that he will continue fighting for the issues that afflict the county, such as health care and housing. On Wednesday night, the group Democratic Activists for Women Now, or DAWN, voted unanimously to oppose Oliverio’s candidacy.